We look forward to hearing from you. Last minute requests are no problem. 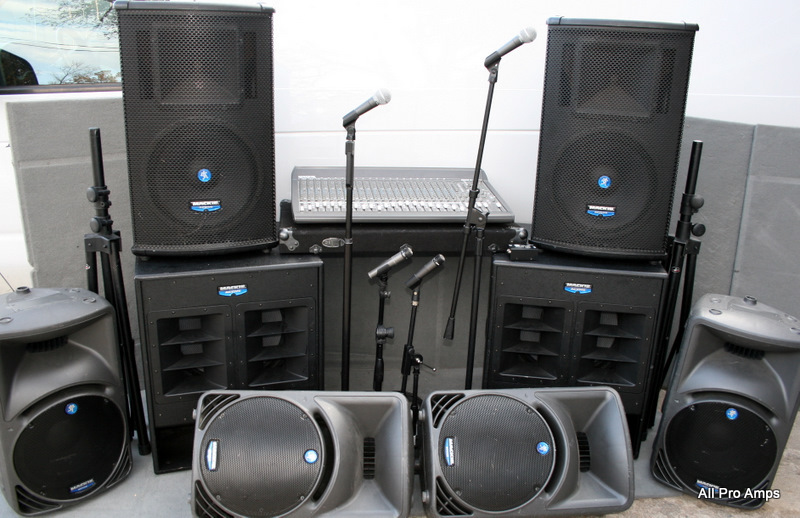 We specialize in top of the line musical instrument and sound system rentals. All Pro Amps has a huge selection of music gear to choose from for your backline rental. Do you need a sound system for an event? Choose from one of our low-priced package sound systems or let us custom design an affordable system to meet your needs.